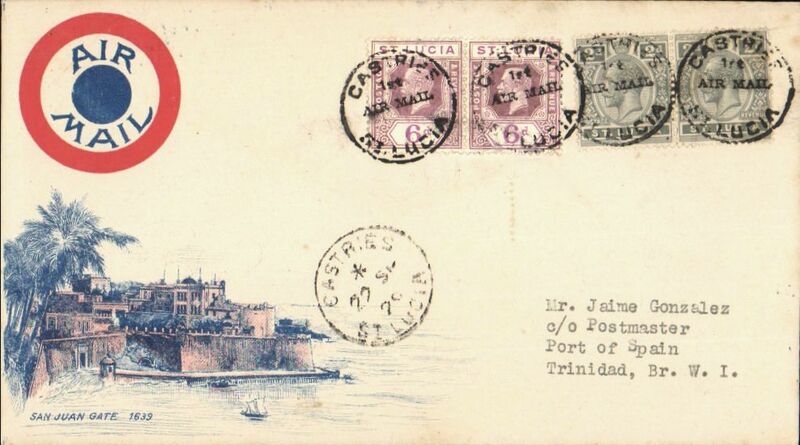 FAM 6 F/F Castries to Port of Spain, bs 22/9, attractive airmail cover with pink/blue etching of San Julian Gate in lower lh corner, franked 6d x2 and 2d x2. 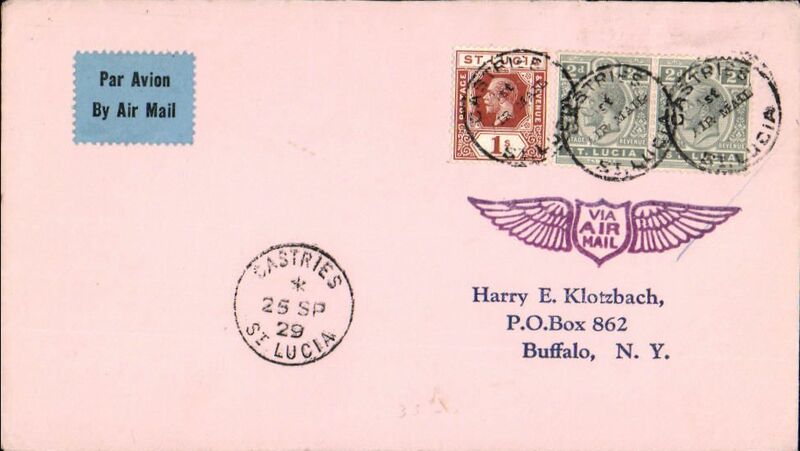 FAM 6 F/F St Lucia to Miami, no arrival ds, airmail etiquette cover franked 1/4d, canc black circular 'Castries/1st Air Mail/St Lucia' cachet, also Castries 25 SP 1929 cds, fine strike purple winged 'Via Air Mail' hs. 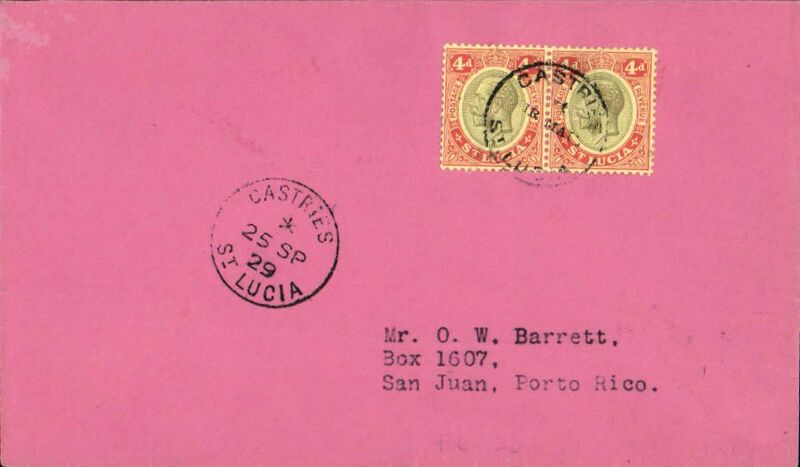 FAM 6 F/F St Lucia to San Juan, bs 26/9, plain pink cover franked 4d x2 canc black circular 'Castries/1st Air Mail/St Lucia' cachet, also Castries 25 SP 1929 cds.